Hollywood Reporter writes that Eric has signed with UTA. Eric Stoltz has signed with UTA. The Golden Globe-nominated actor is best known for his performances in films Pulp Fiction, The Rules of Attraction and Mask, which netted him a Globe nomination in 1986 for best supporting actor. Keep reading. Guest Cast: Chord Overstreet as Sam Evans; Damian McGinty as Rory Flanagan; Vanessa Lengies as Sugar Motta; Lauren Potter as Becky Jackson; Matt Bomer as Cooper Anderson. 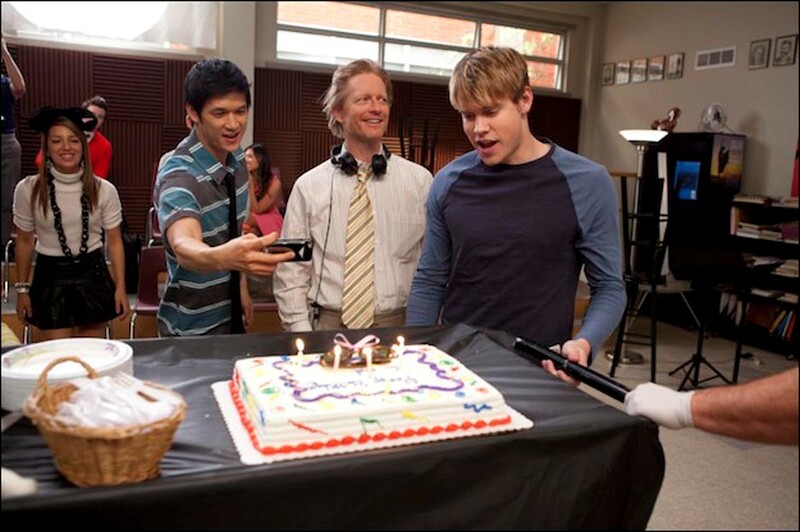 When I first came to the Glee set last season, I could tell they’d been through a great deal – the actors were close-knit and a bit guarded, and rightly so. Who was this redheaded stranger coming into their world, asking questions and taking notes? Before I started directing a show, I try to spend a few weeks hanging around the set, getting to know the crew and talking to the actors about how they like to work. Who is fussy? Who is left-handed? Who wants to go home early, and who is the perfectionist? There is no “right” way to work, and familiarizing myself with everyone’s method is a respectful place to start. And it’s also a lot of fun stealing Jane Lynch’s journal and reading it in the bathroom. ^ There is a column to go with that photo (written by Eric), but the person who scanned it only has the beginning. 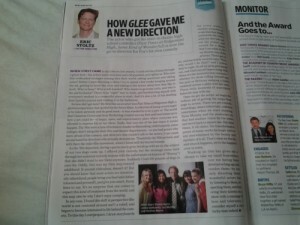 The column is supposed to come out in the EW issue that hits newsstands tomorrow. 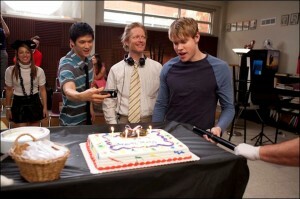 Being Glee-related, it will probably be plastered all over the internet by noon. “Big Brother” airs on Tuesday, April 10. That’s next week. 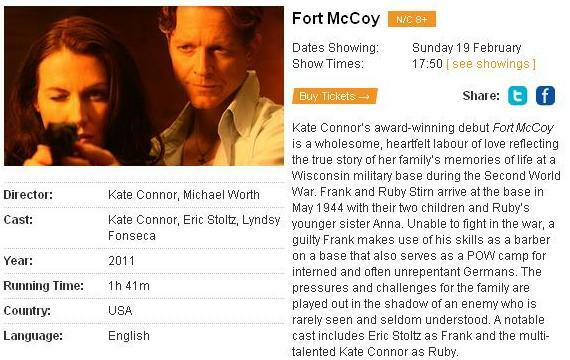 Fort McCoy will be shown at the Glasgow Film Festival today at 17:50 h. Kate Connor will be there for a Q&A. Details and tickets here.